Rich deciduous forests, often on sandy soils. 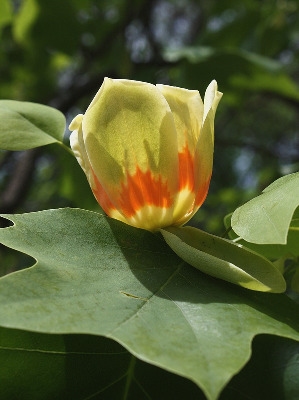 A fine tree, easily distinguished by its leaves (basically 4-angled or with 4 acute lobes, the apex with an obtuse angular sinus), dry cone-like fruit, and large flowers in early summer. It is often planted as a shade tree. The national champion, and the tallest tree then known in Michigan, in Cass Co., 62 m tall and 2.3 m in diameter, was toppled by a windstorm in May of 1984. MICHIGAN FLORA ONLINE. A. A. Reznicek, E. G. Voss, & B. S. Walters. February 2011. University of Michigan. Web. 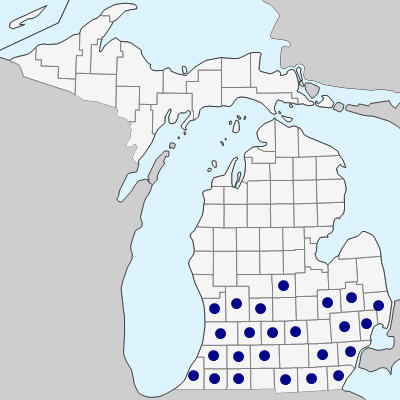 April 18, 2019. https://michiganflora.net/species.aspx?id=1664.